I am ruined for all other Thai food in Los Angeles after experiencing Satdha Plant Based Thai Kitchen in Santa Monica. This is seriously some of the best food I have ever had the pleasure of eating in my entire life, absolutely no exaggeration. Satdha is no run of the mill Thai restaurant, the dishes are inventive, beautifully presented and so full of flavor your mind will be blown upon first bite. I first learned about Sadtha from my friend Jason after a very long day filming this parody video with him and Whitney of Eco-Vegan Gal. He mentioned that he saw a sign for plant-based Thai and that we should check it out, and check it out we did. The interior has a simple elegance and the wait staff is super sweet and attentive. But most of all, Chef Gunn Pankum has a knack for making the most flavorful dishes you could possibly imagine. *My husband got a new lens for his camera, so these pics are a little artsy, but you get the picture! 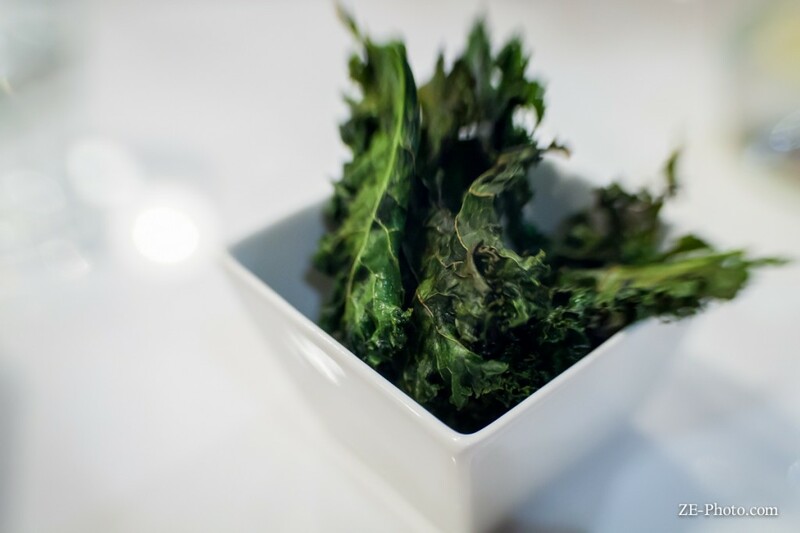 They give you complimentary kale chips when you sit down – AMAZE! 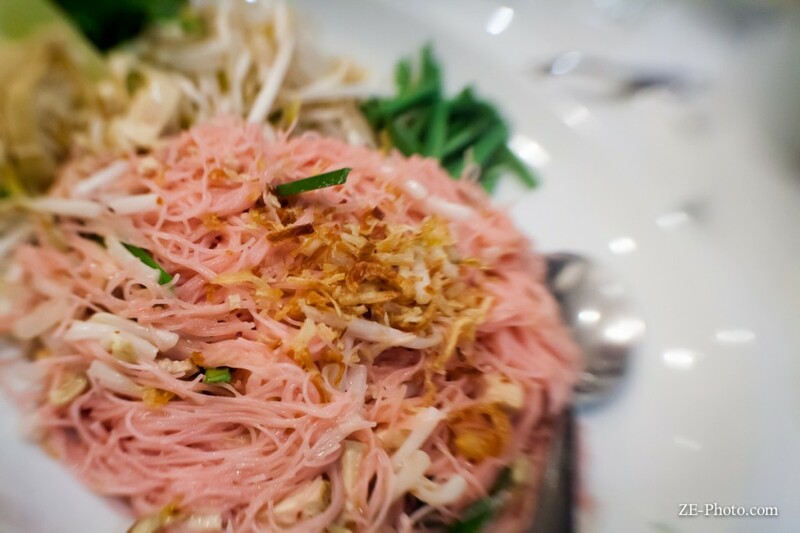 The first time we went we ordered the Kow Kuk Kapi, Vermicelli With Mung Bean Coconut Curry Sauce, Beet Dyed Noodles and Yellow Curry. I pretty much judge Thai places on how good their yellow curry is and as soon as I put the fork to my lips my eyes rolled back into my head and I was in my own little world for a few seconds. It was creamy with just the right amount of spice and filled with huge tender chunks of carrots and potatoes. We all tried each other’s dishes and every single one was perfect in it’s own way. 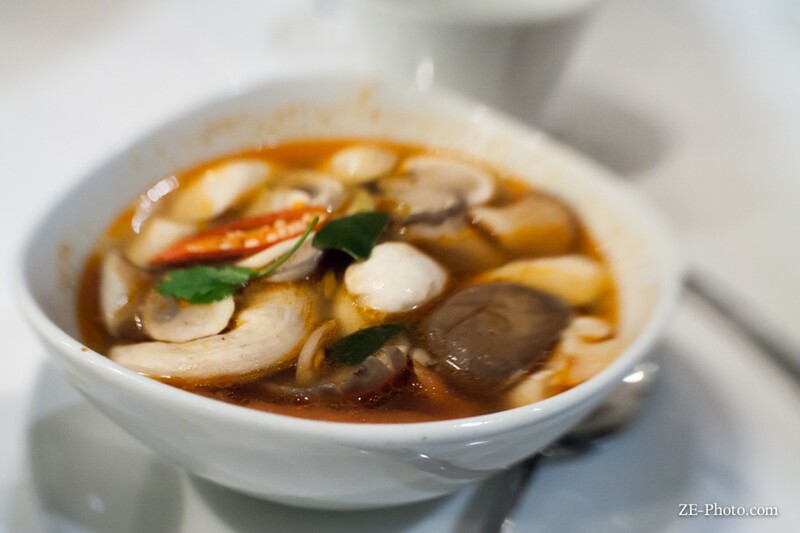 Tom Yum – Hot & Sour Soup filled with fresh veggies – bomb diggity! We’ve been back a few times since then and have also tried the Endive Cups, Mung Bean Croquette, Grilled Oyster Mushroom, Crying Tiger, Tom Yum and Green Curry Rice. The standouts to me and probably the dishes I will continue to order over and over are the Endive Cups and the Green Curry Rice. The endives are filled with a “cashew tuna”, coconut, ginger, lemongrass, peanuts, shallots, & thai chili lime. It is the prefect combination of flavors and textures. Each bite tells it’s own little story, first the crunchy sweetness of the coconut and cashews followed by the kick of ginger and ending with the heat of the chili. 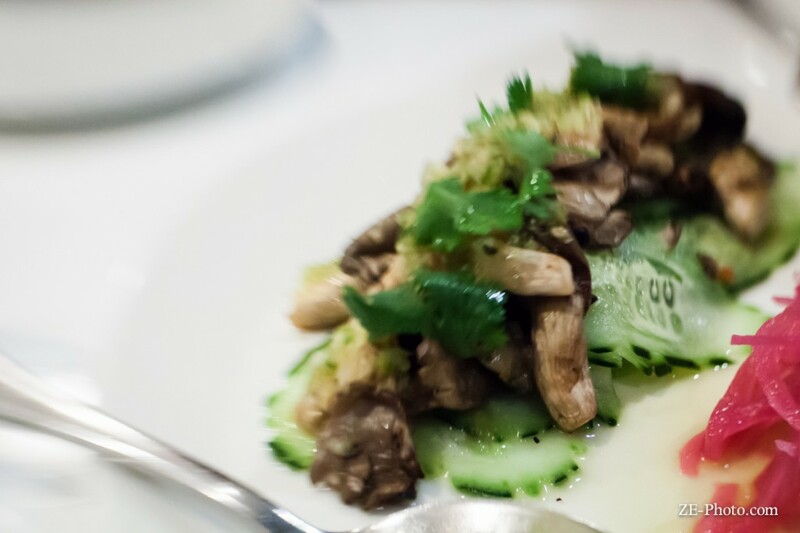 As with all of their dishes, you can taste every ingredient and it is all so incredibly fresh. Same goes for the Green Curry Rice. I don’t even know how to do it justice, the balance of basil and spice is on point, the rice is cooked to just the right amount of tenderness and the green beans taste like they were brought in from the garden that day. It’s beyond compare. We asked the waitress on one of our visits what the secret was and she replied, “Everything is made with love.” and you can definitely taste that as well. I highly, HIGHLY recommend Satdha if you’re ever in the Santa Monica area and craving Thai food, but be forewarned – all other Thai restaurants will be ruined for you!